Australia’s favourite office paper now features Ink Wise™. Ink Wise™ is an exclusive feature to Reflex that delivers a new standard in print and paper performance. 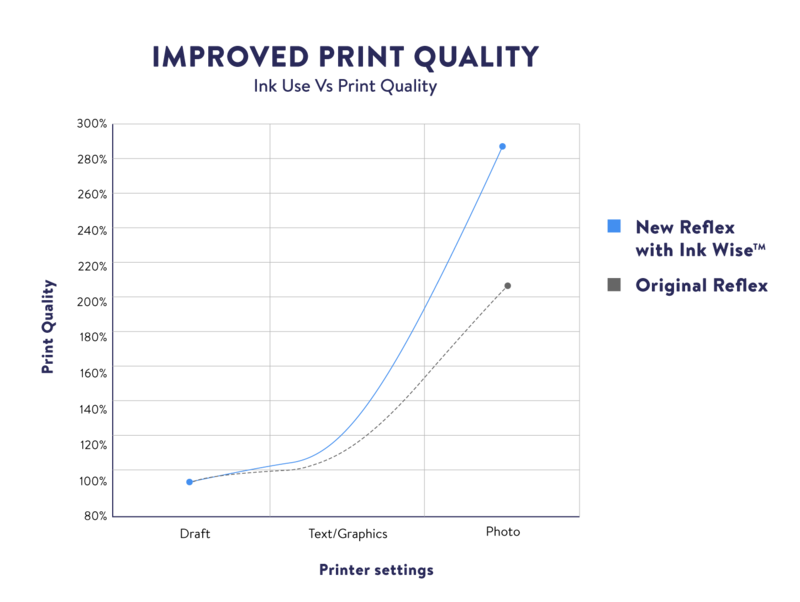 The quality improves ink-to-paper performance with no extra ink.